A week of petrolhead car news including a Jaguar XF Sportbrake, a new BMW quad-turbo diesel engine and more details on TVR's new sports car! 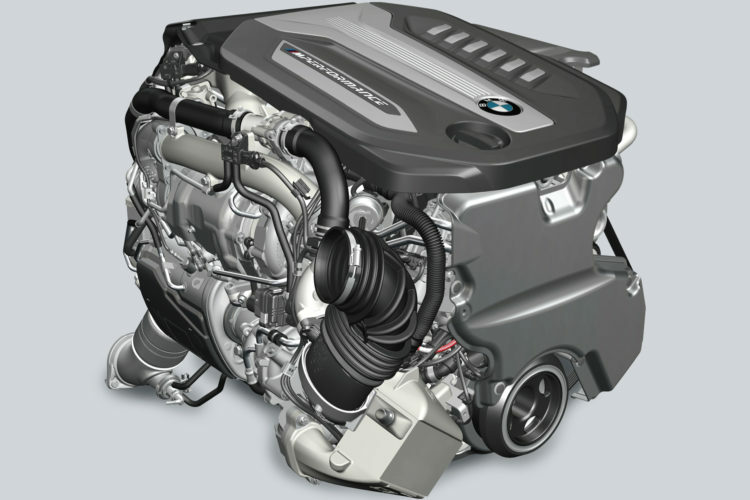 German luxury car manufacturer BMW have announced a new quad-turbo diesel engine will be added to the 7 Series range. The car that'll feature the engine is the 750d xDrive, but in typical BMW fashion the nomenclature doesn't quite match what's under the hood. The actual engine is a 3.0-litre six-cylinder diesel with four turbo's strapped on top - two low-pressure and two high-pressure - meaning both great low-end response and top-end power. The figures for the car are pretty insane, with a power output of 394 bhp and 560 lb ft of torque, a 0-62 mph time of just 4.5 seconds and a top speed of 155 mph. These times are helped by the fact that the 750d xDrive comes with their eight-speed ZF automatic gearbox, which is apparently at its limit in terms of what it can handle. Fancy one? Well the official release date is currently unknown, but you can expect it'll arrive some time next year. The second generation XF saloon was released late last year and now Jaguar have confirmed that an estate version is coming too. The car - dubbed the XF Sportbrake - has no official images as of yet, however the clever chaps at AutoExpress.co.uk have put together some images to show how the car might look. As you can see it shares a lot of similarities as its saloon equivalent, but with an obvious estate-like rear-end. The shape of its rear does look more coupe-like than your typical estate, which we think looks great. Jaguar did also confirm that multiple specs will be available for the car such as the Prestige, R-Sport and Portfolio, plus two S variants and even a tuned SVR model that'll look to rival the Mercedes-AMG and Audi RS estates. The XF Sportbrake is likely to debut towards the end of 2017, with a release scheduled for 2018, so as and when it does we'll be sure to bring the news your way. Last year TVR got everybody excited by revealing that they were developing a new sports car. Well now they've taken it even further by releasing a teaser image showing its front-end. The image was cleverly drawn using duct tape and shows a typical TVR look, with tall headlights, wide arches, a beefy bonnet and low overall height. It does also sport a far beefier grille, which makes the car look so much meaner than it's predecessors. The car is likely to use one of the brand's previous names - Tuscan, Chimaera or Griffith - but for now is codenamed T37. So far the only confirmed details of the car is that it'll be powered by a naturally aspirated Cosworth V8 capable of over 500 bhp, will be a manual rear-wheel-drive and will cost less than £100,000. So far it's been described as "God's own sports car", so if that's the case then the price seems reasonable. The new TVR is set to be fully revealed in the next few months, so we'll have to deal with our excitement until then! The Italian military police force, a.k.a the Carabinieri, have a new addition to their ranks - a tuned Giulia Quadrifoglio. The car uses the same 2.9-litre V6 engine as an existing Giulia QV, meaning a power output of 503 bhp, top speed of 190 mph and a 0-62 mph time of just 3.9 seconds. The differences however are just what you'd expect - intercoms radio, in-car defibrillator, extra storage compartments for weapons and a passenger-side tablet. It also comes finished in a Carabinieri-style police livery. In case you're wondering, this Giulia Quadrifoglio won't be used for day-to-day traffic duties. Of course it's capable of catching a getaway criminal, but its primary purpose will be the transportation of highly important VIPs, documentation and more. Now, where do I apply? Jim Click, an automotive car seller based in Arizona, USA, is selling six of his most special Ford's at auction. 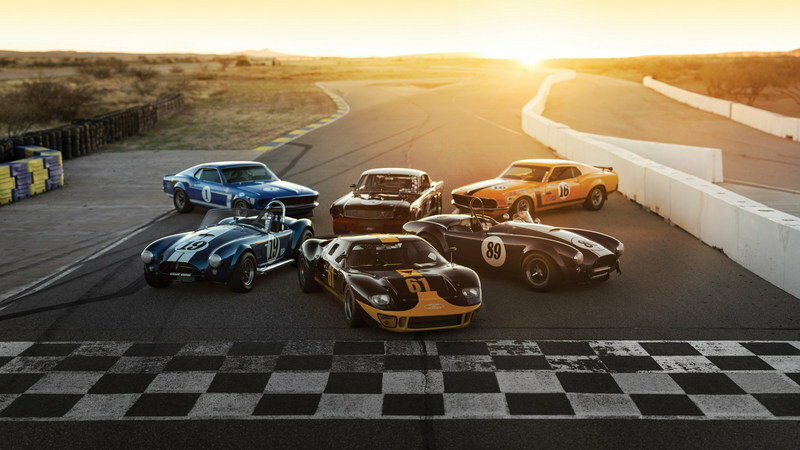 The six cars include a 1966 Shelby GT350 that was raced by Don Roberts, a 1969 Mustang that was raced by Shelby and a 1970 Bud Moore Mustang, all estimated to be worth between $1 million and $1.3 million each. There's also two original Ford GT40's - with one in particular being only one of seven that were used for promotional purposes - that could get upwards of $1.4 million a piece. The priciest cars are the two Shelby Cobras. They're both likely to fetch between $2.2 million and $2.5 million, with the best one sporting a racing history full of wins, making it one of the most successful racing Cobras of all time. The collection goes up for sale at http://www.rmsothebys.com/mo16/montereyRM Sotheby's Monterey auction on August 19th to 20th.